This is your invention. Who knows it better than you do? You probably say you know it so well that you do not need to pay another person to draw it for you. Well, you have the invention, but you also want a patent. It does not matter if you are working with a patent attorney or going through the process by yourself. Patent drawings are an essential part of the process that many people neglect. We do not want you to become one of those people, so here are some things we want you to consider. As you already know, there are rules that need to be followed. The USPTO may not be as strict about their standards of accepting applications, but people still receive rejections. There are many people who seek help from someone after their submitted illustrations have been rejected. The drawings typically are not revised or fixed; they are typically created all over again. So, what can you do to avoid this? You can make sure you do this right the first time by finding a good patent illustrator. When you find a good patent illustrator, you have found someone who is worth every penny that you will pay. A good patent illustrator will know how to use the latest patent drawing tools, equipment, and software. A good patent illustrator will also have the latest information on the USPTO standards and regulations, so you will not have to worry about the guidelines because the illustrator is already informed. You may think that you can take the easier way out and get anyone to draw the picture, but these illustrations can be the difference in an acceptance and a rejection. If you find a good illustrator to do the job for you, then that amount of money will seem small compared to the money you can make after your invention becomes popular. It is your decision to make, but if you need additional advice or information, do not hesitate to contact us. Do you have a great product concept that you want to make more commercially attractive? Are you considering patenting your concept? If you’d like to increase the probability of acceptance for your patent application or the quality of your product design, consider working with an industrial designer. Hiring an industrial designer will help you refine the design of your idea and provide valuable assistance in the development of your patent application. An industrial designer is an engineer that focuses on the appearance and use of a product. An industrial design engineer is experienced in combining both art and science to create products that are both functional and aesthetic. They can help you examine the functionality of your concept, and refine the efficiency and effectiveness of its operation. Professional industrial designers occasionally work in teams because some have a stronger engineering background, while others have a more artistic background. Improve the ergonomics of the product or system, making it easier and more comfortable to use. Improve the marketability of your product or system by making it more attractive to potential buyers. While an industrial designer can be a great resource for product development and helping you to create a product or system that is more commercially viable, an industrial designer can also be a valuable partner when creating patent applications. Every patent application must include detailed descriptions and drawings of the invention, and all must be presented in a very specific format. The descriptions and drawings have to convince the patent reviewer that your invention is novel, and the patent drawings have to reflect those claims. Because of the specific formats and requirements for the description and drawings in a patent application, hiring an industrial designer that is intimately familiar with the patent application process can help to develop both the description and the drawings and improve the probability of acceptance of your application. It’s often beneficial to hire experts to help you in your business to fill gaps in your in-house expertise, and hiring an industrial designer is no exception, whether you want to improve the overall design of your concept or whether you are filing a patent to protect your intellectual property. A picture may be worth a thousand words, but a good patent drawing may prevent a thousand frustrations. First-time patent applicants, who might accidentally omit something in the written disclosure of a patent application, should know that a detailed patent drawing can potentially save that application from rejection. A good patent drawing is a drawing that is detailed enough to visually convey pertinent information about an invention, including information that might be missing in the actual written description. If you are a new inventor, and you want your invention to pass without question, then consider broadening the scope of your application by including multiple, detailed and professional drawings with your filing. The primary benefit of filing a patent application is to capture a filing date that can be used to demonstrate priority of your invention. In order to capture the full benefit of a filing date, a good patent application should completely cover all aspects of the invention and all permutations at the time the application is filed. Simply stated, supplying multiple, but good patent drawings the first time can help expedite the patent application approval process. Because the detail of the patent drawing is so important, having the work done by a professional patent illustrator is extremely wise. Using a professional is well worth the investment, because a professional is specially trained to deliver a good patent drawing…specifically, the type of detailed drawing that will correctly conform to ever-changing USPTO drawing standards. Hiring a professional patent illustrator such as Inventia Patent Drafting is more affordable than you think. Depending on the complexity of the drawing, charges typically range somewhere between $50 and $150 per sheet. Compared to the potential cost of application rejection, the valuable time lost in re-filing, and the headaches associated with completely starting over….good patent drawings are worth every dime. First time inventors often ask if they really need to hire a professional patent illustrator to draw their idea. Hiring a certified patent illustrator is not only important to the success of your patent application, but a huge time saver…and headache deterrent for you. Career inventors and multiple patent owners agree: professional patent illustrators not only protect your design from USPTO rejection, but can often spot inconsistencies that an IP attorney might miss. 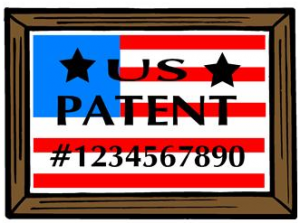 A professional patent illustrator is important because they make it their business to stay informed about current USPTO Standards for Drawings. Those standards start with utilizing the most widely accepted drawing method: black and white line art. Black and white drawings also known as line art must be used for patent drawing submissions. Today’s professional patent Illustrators also use modern software to help them quickly create precise drawings that meet ink requirements while simultaneously adhering to other strict USPTO drawing standards. Identification of the drawings: Identifying indicia should include the title of the invention, inventor’s name, and application number, or docket number (if any) if an application number has not been assigned to the application. If this information is provided, it must be placed on the front of each sheet within the top margin. Graphic forms in drawings. Chemical or mathematical formulas, tables, and waveforms may be submitted as drawings and are subject to the same requirements as drawings. Each chemical or mathematical formula must be labeled as a separate figure, using brackets when necessary, to show that information is properly integrated. Margins. The sheets must not contain frames around the sight (i.e., the usable surface). Each sheet must include top and left side margins of at least 2.5 cm., a right side margin of at least 1.5 cm., and a bottom margin of at least 1.0 cm., thereby leaving a sight no greater than 17.0 cm. by 26.2 cm. on DIN size A4 drawing sheets, and a sight no greater than 17.6 cm. by 24.4 cm. (6 15/16 by 9 5/8 inches) on 21.6 cm. by 27.9 cm. (8 1/2 by 11 inch) drawing sheets. Views. Patent drawings must contain as many views as necessary to show the invention. They may be plan, elevation, section, or perspective views. Detail views of portions of elements, on a larger scale if necessary, may also be used. All views of the drawing must be grouped together and arranged on the sheet(s) without wasting space, preferably in an upright position, clearly separated from one another, and must not be included in the sheets containing the specifications, claims, or abstract. There are many more specific USPTO guidelines including the arrangement of the views, scaling, symbols, and legends. Still wondering why you might need a professional patent Illustrator? Read the General Information Concerning Patents here, and contact Inventia Patent Drafting for help today. There are two main types of patents granted by the U.S. Patent Office: design patents and utility patents. Utility patents offer greater benefits than design patents. Utility patents protect the way an article is used and works. Utility patents also allow many variations of the article to be claimed in one patent, making utility patents much more broad than design patents. 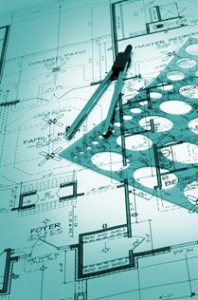 Utility patents can also be filed provisionally whereas design drawings cannot. Design patents protect the appearance of the article. Design patents are usually much cheaper than utility patents and are much easier to obtain. If the main feature of you invention is the ornamental design, then a design patent is all you need to protect your invention. We suggest you seek advice from a patent attorney to figure out which type of protection is best for your patent.